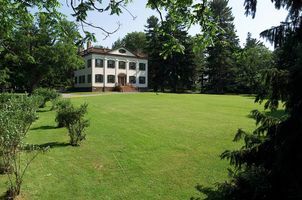 Built in 1807, Lorenzo was occupied by members of the Lincklaen/Ledyard families until becoming a New York State Historic Site in 1968. The historic collections are made up of 160 years of original, accumulated furnishings and documentation. The staff at Lorenzo is pleased to present some of our favorite, rarely seen treasures from the collections. These items have sparked our interest and we hope you will enjoy them too! Wednesday through Sunday, and Monday holidays, 10 AM to 4:30 PM, with the last tour of the day beginning at 4 PM; visitor center and museum shop are open during these hours. Group tours may also be scheduled year-round by prior arrangement; please call Jackie Roshia at (315) 655-3200, ext. 106, for availability and more information. Grounds are open year-round from dawn to dusk including the formal garden and Dark Aisle Arboretum. Tour Fees: Adults, $5; Seniors, $4; students, $4. Groups of 12 or more with 2-week advance notice, $4 per person. Children 12 and under, free. Friends of Lorenzo members receive free admission. For more information, please call Lorenzo at (315) 655-3200.